Have a very vegan Happy Halloween! 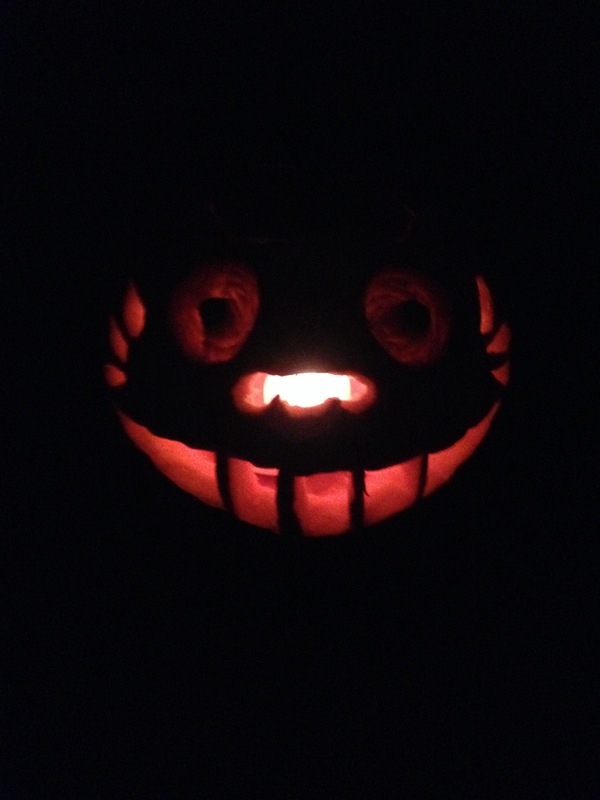 This is my Totoro pumpkin! I designed it after the face of Totoro (from the Japanese Animation film My Neighbor Totoro). It was nice to do something creative again. Hopefully soon I’ll be back to making more art (for the blog and otherwise) as I now have some vegan art supplies!